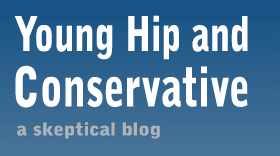 Young, Hip and Conservative: a skeptical blog: Will Larry Summers leave Obama's cabinet? Will Larry Summers leave Obama's cabinet? Sad to say, it's looking that way. For those of you unfamiliar with him, Larry Summers is the John Lennon of economics. He's damn good at what he does, but sometimes he says things that irk the public. secretary position in 2009. Obama did welcome Summers to his administration, but buried him in the National Economic Council. Imagine getting John Lennon to join your band, and then assign him to play the triangle. "Summers always seemed a bad fit for NEC director because the job entails dispassionately presenting the president with the counsel of his competing economic advisers. Summers doesn't do "dispassionate" and he didn't want to limit himself to fielding others' advice--he had plenty of his own to offer. In other words, he was supposed to be the referee, but he also wanted to play power forward." Summers is absolutely a left winger, but his knowledge as an economic scientist tempers some of his views, much to the chagrin of some liberal extremists. The rumor mills are swirling right now, and I'm not convinced if he's going to quit, get pushed out or promoted. Time will tell, but a pity to this nation if the president stops listening to him. How many recycling bins is too many? How similar are Carl Sagan and Milton Friedman? Are political opponents evil people? Does being wrong make someone stupid?